Brighten up your home with this stunning full sized lion throne chair. Finished in a beautiful and luxurious gold with black fabric upholstery. 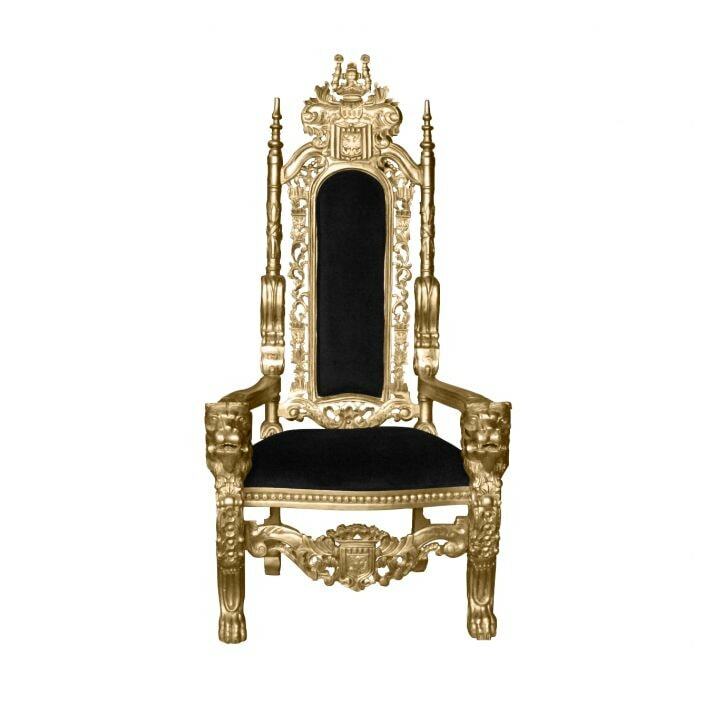 This marvelous gold throne chair with its intricate detailing will impress and look amazing in a variety of settings. Additionally, you can use two of these wonderful wooden throne chairs as the perfect wedding throne chairs for King and Queen wedding chairs.